While on the Norwegian Escape I discovered The Cellars, a Michael Mondavi Family Wine Bar. The atmosphere there is lovely and I enjoyed spending time there, trying new wines. On the Dawn, this new addition takes the place of the Pearly King Pub. If wine is not your drink of choice maybe mojitos are. The new Sugarcane Mojito Bar will serve up more than 15 varieties! Lastly, Spinnaker Lounge was transformed into the Bliss Lounge. 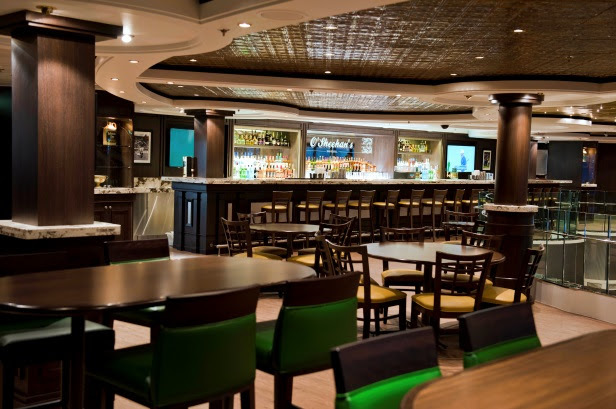 Extensive renovations were made to all the other restaurants, bars, the Atrium and staterooms giving the entire ship an upscale, contemporary look. 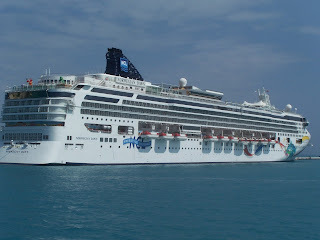 If you’ve cruised on the Norwegian Dawn before, you’ll hardly recognize her! If it’s your first time sailing on the Dawn, you’re in for an incredible journey on one of the loveliest cruise ships afloat! Norwegian Dawn will sail from Boston to Bermuda each week through October, and from New Orleans to the Western Caribbean during the winter season, beginning in November.